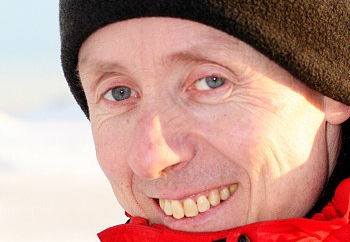 It is with great sadness that we learned of the passing of Professor Jón Egill Kristjánsson, University of Oslo, who was killed in a climbing accident in the Norwegian mountains. Jón Egill was a very active, talented and internationally respected researcher and a good friend to many researchers here at ACES as well as the Bolin Centre for Climate Research. He was a frequent guest at Stockholm University and had showed great willingness to collaborate with us. His calm, objective and expert opinions and advice have contributed greatly to the high quality of our research operations. As the leader of the Nordic cooperation in earth system modelling (NordicESM) and creator of climate model NorESM, which is widely used by climate researchers at Stockholm University, Jón Egill has made invaluable contributions to climate research in the Nordic countries. For his efforts, he was awarded an honorary doctorate degree by the Faculty of Science at Stockholm University in 2013. The climate research community in Stockholm and abroad has lost an invaluable colleague and friend. Our thoughts are with Jón Egill’s family who lost a dear husband, father and son.